KCM's route 150 to Southcenter Mall also takes I5 rather than connecting to light rail. As well, from what I have seen in the current schedules, Link is not faster, held back considerably by the lower speeds running on-street on MLK way. The 150 either matches or beats Link even in rush hour, staying in I-5 HOV lanes or the parallel SODO busway for most of the route. Link will only get a speed advantage when buses move out of the Seattle Transit tunnel at the end of next month and have to run on-street thru DT Seattle. Go there and you'll find signs indicating the closure of Bay 2 (the #10 bay). Right now all #10 passengers have to use the Hudson St near-side stop or the Oak St near-side stop. I'd be kind of surprised if they don't use bay 5 (the former #100 bay), bay 1 seems like a palatable location though. Yeah I'm aware. They did have it in service by then (full-service testing I think) but pulled it out for what I heard was "computer related issues". Glad to see it back. 429-432 seems to be in service today. Spotted it just now at Scott Rd! I discussed this when the announcement was made. The B-Line under the NEW standard involves a lot of permanent infrastructures like enhanced bus shelters and dedicated lanes that just wouldn't make sense to build with SkyTrain coming sooner. We did this once when the 98 B-Line infrastructure got built in Richmond but was decommissioned quickly because of Canada Line construction. In the end, the busway was in place for only around 4-5 years. So with that TransLink called for the cancellation of the Fraser Highway B-Line. The service pattern itself (limited stop, express) and use of larger articulated buses could still be done under a non B-Line branded service (think: 43, 44, previous 135). 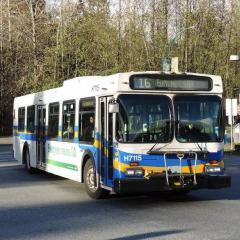 TransLink staff have mentioned that they'll still be pursuing service improvements on the 502/503 in lieu of the B-Line. One possibility is that the 503 become more frequent between Surrey Central and Langley (15 min frequency?) 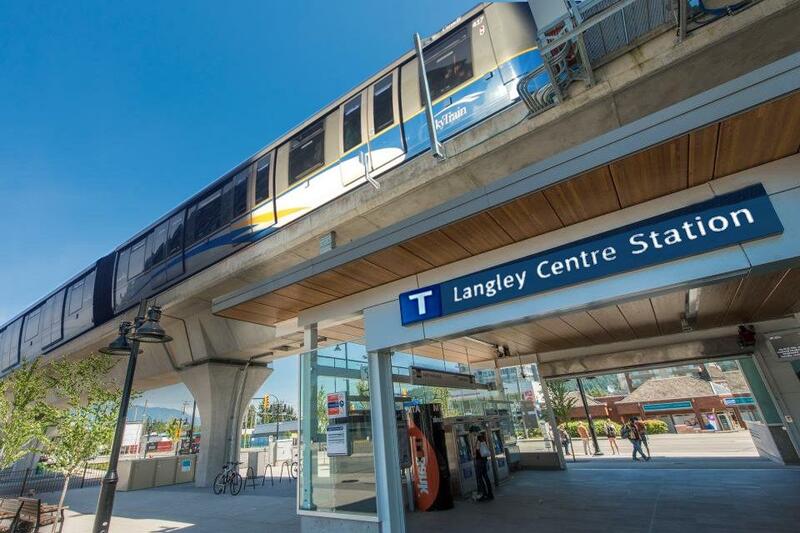 on weekdays, and do pick-up and drop-off at all stops between Surrey and Langley. We'll have to see what they come up with, but Fraser could get some decent bus service improvements, and I trust TransLink will not leave bus commuters behind. Bear in mind this also means that the 503 will retain its limited-stop structure; the plan was to convert it to local/all-stop with the B-Line coming in. This will probably be controversial, posting here: TransLink resolution for SkyTrain proposes cancellation of Fraser Highway B-Line Important things to know: SkyTrain construction expected to impact the Fraser Hwy B-Line within years of its introduction in 2019 The main concern is most permanent infrastructure for the B-Line (i.e. digital next bus signs, shelters, dedicated lanes for buses) would be torn up within years to accommodate for SkyTrain construction. This is what happened for all of the 98 B-Line infrastructures on No. 3 Road (dedicated lanes, shelters, etc) when Canada Line construction began. In lieu of Fraser B-Line, TransLink will improve and redesign the existing 502/503. This will address overcrowding and service quality. The new service could be a combination of local and all-day, limited-stop express service (i.e. 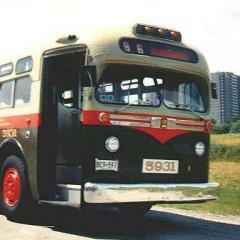 improved 503) and for all we know articulated buses might still be introduced. In lieu of Fraser B-Line, existing 96 B-Line to be IMMEDIATELY IMPROVED to the upgraded B-Line standard. These improvements had not been planned for, as the assumption was to replace 96 with LRT by 2023. Now, 96 riders will enjoy new branding, customer information, possibly improved service frequency, and improved infrastructure such as traffic signal priority and more dedicated bus lanes. 'Cost-effective' transit priority measures on Fraser Highway will STILL be pursued. Worth pointing out too but as a trade-off, 503 service will remain as-is (express) instead of converted to a local service. And could be improved significantly as part of the new interim service plan. Personally, I trust that TransLink will deliver a reasonable interim service plan and solid improvements for Fraser Hwy, but my expectation is that some people (especially in Langley) will be ticked off by what will obviously be presented mainly as the cancellation of the Fraser B-Line. I can already see the objections coming from Langley City (at least certain people). Just hoping people won't forget that this is in lieu of SKYTRAIN coming in 2025. What are your thoughts everyone? EB to remain on the straight routing? The final SNG LRT business case documents have been up on the LRT website for a while now in case anyone wanted to look them over. The two documents of note are the "Project Business Case" and the "Strategic Analysis Options", which includes comparisons of the selected LRT alternative with BRT. https://surreylightrail.ca/DocumentLibrary The strategic options report is interesting. 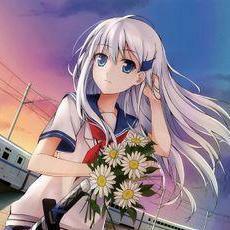 This is the one trying to explain why LRT was chosen and why Bus Rapid Transit (BRT) as an alternative is rejected. In almost all areas the BRT alternative matches the performance of the LRT (same travel times, etc.) and has far lower operating costs (in fact their expectation is that building BRT would result in an operating PROFIT of $13 million each year). The argument against BRT banks on the assumption that a BRT would be "at capacity" and unexpandable, and would have to be replaced by/upgraded to LRT at some point. However, the study is based on the assumption that the BRT alternative is capped at under 2,000 pphpd. The study's explanation is that frequencies of over 5 minutes are considered to be unreliable (going to, say, 3 minutes would constrain the traffic signal priority and would cause delays for other road users). However, it's clear that the capabilities of BRT as a technology are completely underestimated. Here's where I take issue: No consideration of different high-capacity vehicle types (i.e. 24m bi-articulated buses, double decker buses) No consideration of interlining benefits (i.e. routes could extend beyond Newton & Guildford termini, removing transfer penalty to other routes) Ignores that the frequency issue could be addressed by employing bus platooning (scheduling convoys of two or more buses together). This solution is being considered by Los Angeles's Metro Orange Line to increase capacity, and is already used by cities like Xiamen and Seoul. Another way to justify platooning is that buses could split towards different destinations beyond the busway. Ignores capital cost headroom to add features like station passing lanes and aerial (elevated) stations. Where is the "enhanced BRT" alternative? Ignores operating cost headroom (again, $13m operating PROFIT with BRT) to double or triple capacity any time by employing bus platooning Concedes that BRT at over 5 minutes would cause "worsening congestion" even though the LRT would cause same worsening congestion by-design. Vehicle capacity used in the study appears to be grossly understated (the "planning capacity" for a bus on the BRT option is 85 passengers. This is less than the stated maximum capacity for both double decker buses (~100) and articulated buses (~120) and far less than the maximum capacity for bi-articulated buses (~180).) Doesn't consider offset to negative impacts if BRT is phased (i.e. delay 104 Ave portion until certain that a busway can be built while retaining 4 lanes of traffic) Little consideration of upcoming technological advances (i.e. autonomous rail rapid transit). ---------------------- For everyone curious about the expected benefit-cost ratio (BCR) for the SNG LRT, yes, it is below 1.0. I have to admit, I don't like this new livery at all. I'd like to see how they explain what the green stands for. It is shiny and all, but to me it certainly does not convey 'rapid'. 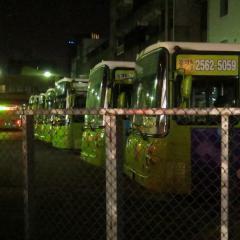 When I see green I find myself reminded about the green buses in Seoul that explicitly denote feeder - not rapid - routes. I would have been happier if they did this livery but kept the yellow. I don't think this is actually the new B-Line branding by the way (I recall TL is looking at doing a branding for the highway rapid buses - furthermore the fact that this livery is on R12024, which might be seen on the 620, but is not used on any B-Line routes, convinces me that it's the new highway bus livery).